Louche Stephani Vintage Tort Leaf Earrings. Vintage retro inspired tortoise shell design earrings in a brilliantly unique tropical leaf shape. Ideal for adding a splash of colour to any ensemble. 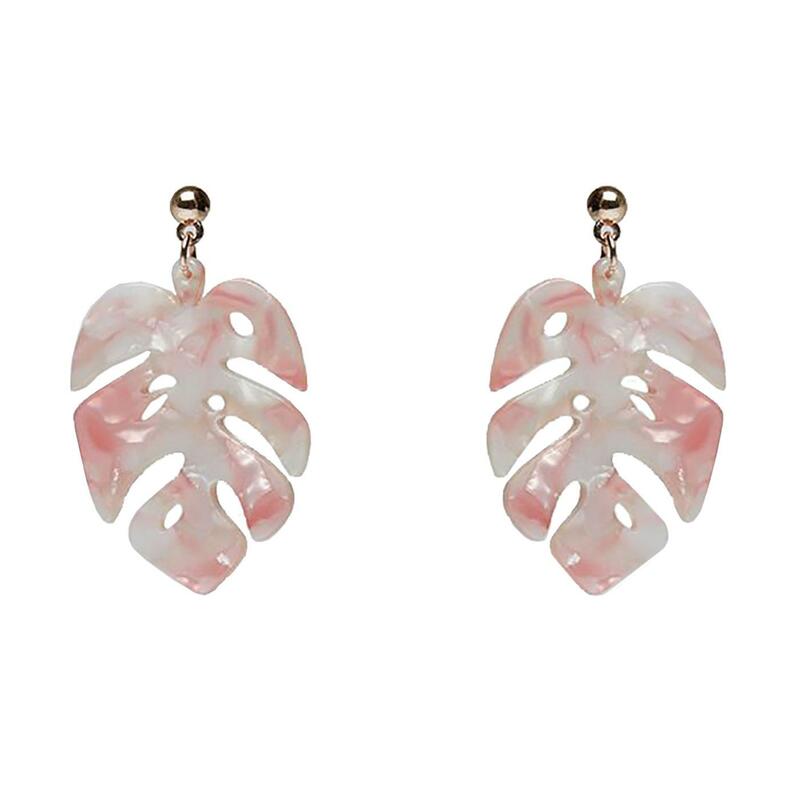 Louche Stephani Vintage Tort Leaf Earrings.